The Ghan was named after the pioneering cameleers – many of whom were Afghans – who blazed a permanent trail through the Red Centre of Australia in the 1800s. 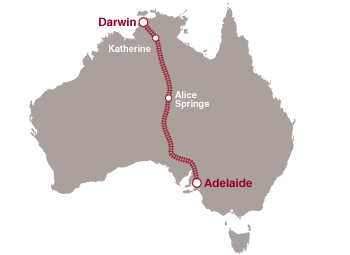 One of Australia’s oldest train lines that runs a total length of 2,979 km from Adelaide to Darwin. The line features 830,000 tons of continually welded steel rails and 1.3 million pre-stressed concrete sleepers. We are very excited as we wake up in Adelaide on the morning of our train trip. We flew in from Sydney the previous day and spent the evening wandering around, taking in the beautiful old buildings of the outskirts of the town. 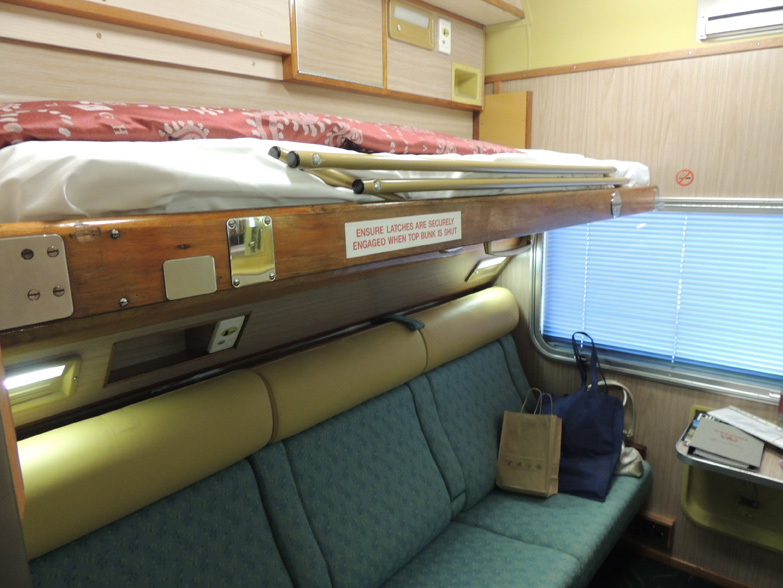 We had an absolutely delicious dinner on Melbourne Street and went to bed full of anticipation for the next day when we would board one of Australia’s oldest and most historical trains, The Ghan. We wake up to a beautiful warm and sunny winter day and take the bus to the city where we would catch a taxi to the train terminal. As we get off the bus I notice that we had left a case containing the laptop and the camera, both quite valuable, on the bus. Thanks to some quick thinking and a subsequent call to Adelaide Metro buses, we manage to get them back within 30 minutes and after a massive scare, we can get on with our trip. 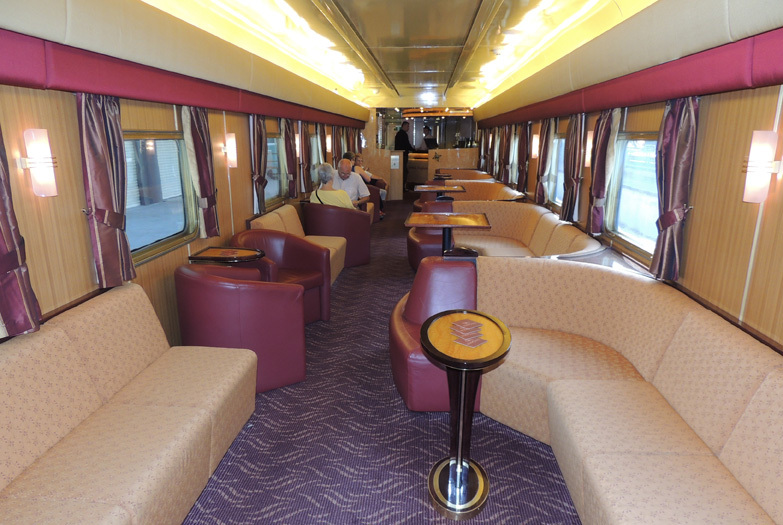 We board the Ghan midday and we are shown to our cabin that is going to be our home away from home for the following 25 hours, the journey from Adelaide to Alice Springs. It is cosy, like a mini hotel room and the tiny bathroom is immaculately clean. Our steward greats us and explains about the trip and the facilities. We go for a few pre-lunch drinks at the bar & lounge carriage and get to know some of our fellow passengers and our on board entertainment officer, Jos who is Dutch and quite a character with an amazing pointy moustache that must require quite a bit of maintenance. There is a definite buzz as the train rolls out from Adelaide station. The scenery turns beautiful with bright yellow canola fields and the train slows down at a sharp bend, where you can see the front and the back of the train at the same time, for us to take photos. Lunch and dinner are served at the a la cart Queen Adelaide Restaurant. 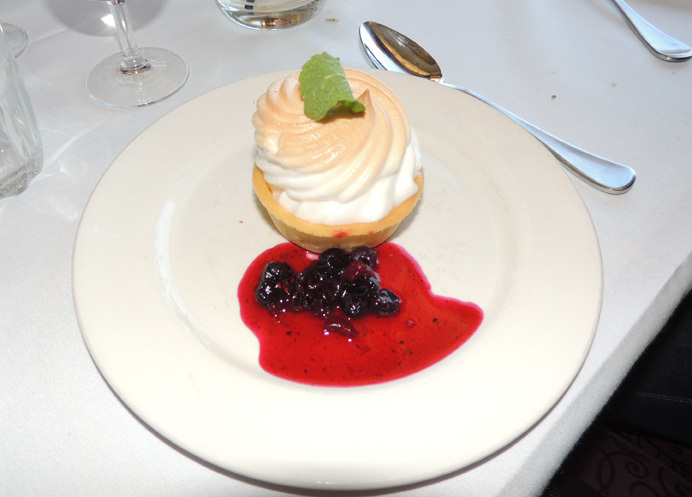 Although the menu is limited, the three course meals turn out to be really delicious. The waiting staff are efficient, professional and very friendly. Soon after lunch we reach the the statue of the Iron Man that was erected where the one millionth concrete sleeper was laid. The cameras come out and everybody tries to take a shot of this memento of the dedication and hard work of the people who built this railway line. By the time we get back tour cabin after dinner, our beds are already made. There are two narrow beds in the room bunk style, and I choose the one on the bottom. We fall asleep to the gentle rocking of the train and I only wake up once, when the train stops for a while to refill on water and stock up on food. The following morning we wake up early and head back to the restaurant for breakfast. The scenery has definitely changed overnight. It is arid. 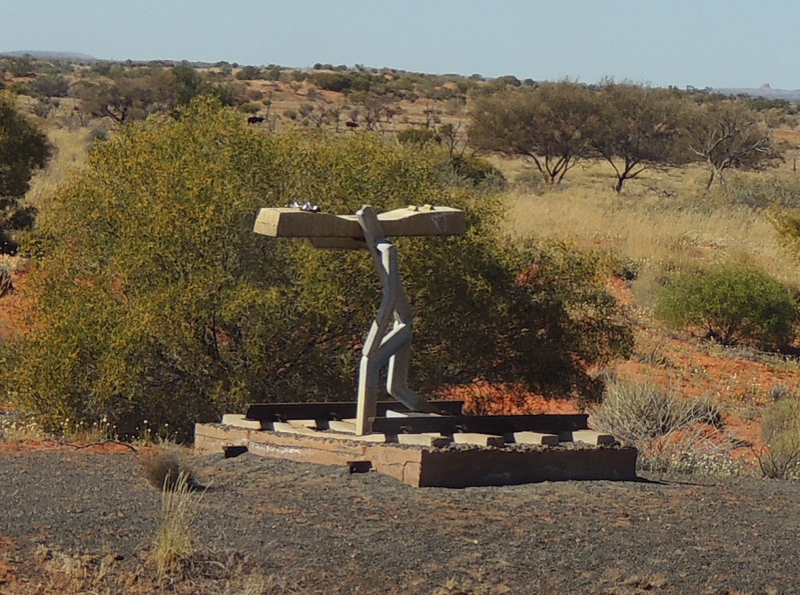 The ground is covered with red dirt and desert flora of spinifex and acacia shrubs. It is beautiful. 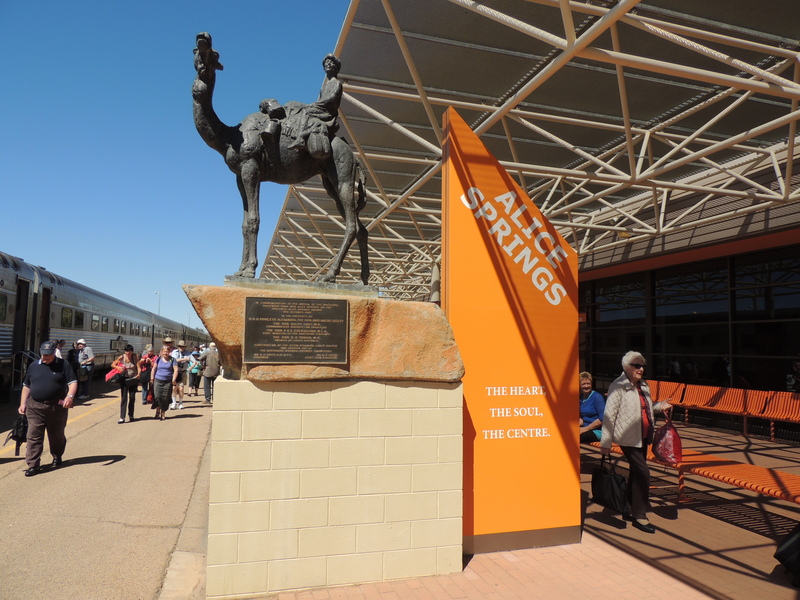 We reach Alice Springs midday and wave goodbye to the Ghan swearing that we’d be back some other time to make the Alice Springs-Darwin leg of the trip.